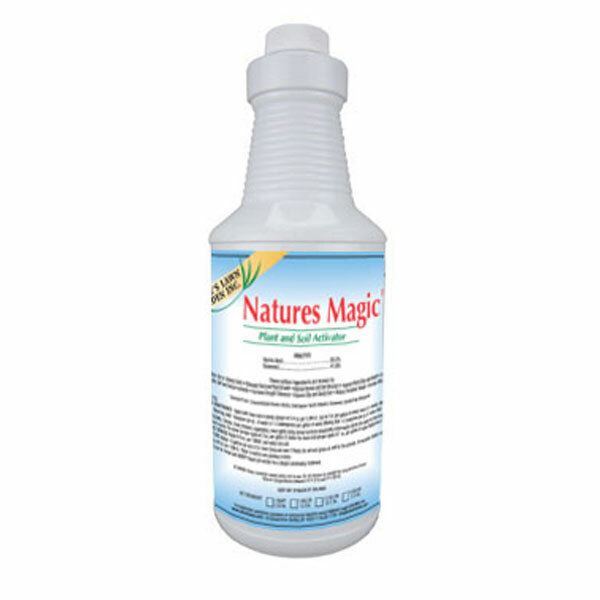 Nature’s Magic is a package of liquid organic ingredients that not only improves above and below ground plant growth and health, but also bio-activates and improves all soil types. It often allows plants to thrive where they couldn’t grow before. It contains over 60 minerals, numerous trace elements, vitamins, plant growth hormones, bio-stimulants, humic and fulvic acids. Because of the countless benefits Nature’s Magic provides to plants and soils, we use it as the base for almost all of our fertilizing and soil conditioning products. You can add Nature’s Magic to any seeding, hydro-seeding, soil conditioning or fertilizing (liquid or dry) program or to improve results in plant and soil health. Nature’s Magic is a blend of two of the best soil and plant health products in the world: Our Super Strength Humic Acid (often called liquid humus) and our Formula Seaweed (kelp). It also contains a small amount of blackstrap molasses as an energy source for bio-life. Here are just some of the many benefits of Nature’s Magic. Use on everything from houseplants, to gardens, to farms and orchards. Unlocks and chelates major and minor nutrients. Reduces fertilizer needs. Bioactivates both clay and sandy soils and increases Organic Matter. 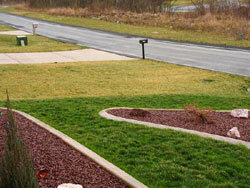 Buffers salts, chlorides and toxins that prevent grass and plant growth. Provides carbon which feeds beneficial soil microbes and energizes plants. 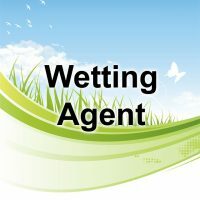 Can be used in hydroponics, foliar feeding and misting systems. Triggers more and new buds and flowers. Improves quality and nutrient density of vegetables and fruits. Improves soil structure and aeration. Helps plants to thrive despite acid or alkaline pH conditions. Stimulates rooting and above ground growth with nutrients as well as natural growth hormones. Improves germination and establishment of seeds and transplants. Encourages beneficial mycorrhizae. Improves plant’s ability to capture (fix) atmospheric nitrogen. Prevents thatch buildup and helps stimulate the decomposition of existing thatch. Increases earthworm activity and helps “clean” the soil. 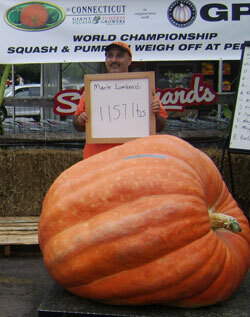 Here is a picture of my giant pumpkin (1157 lbs) grown in 2008 with help from Nature’s Magic. Great Stuff! 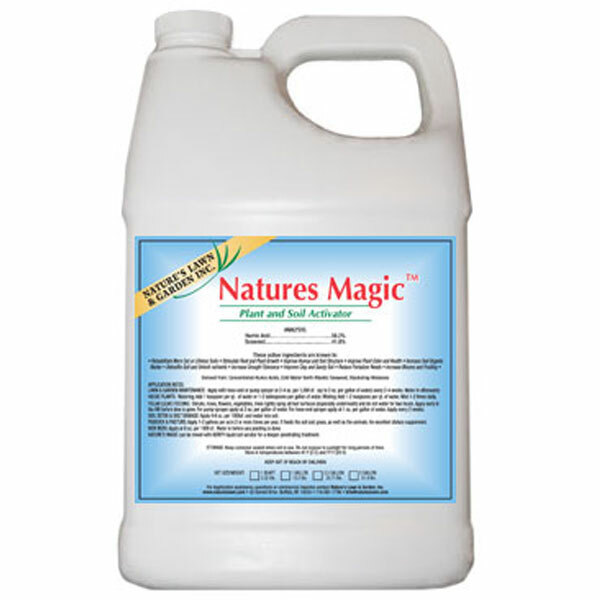 Nature’s Magic is an energized plant food and soil conditioner. This simple, but extraordinary product is made from time highest quality and time-tested organic ingredients. 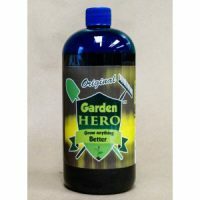 The Super Strength Humic Acid in Nature’s Magic is 40% stronger than what you find in most other garden products. This is a rich and bio-active carbon improves soil quality and bio-activity, and it energizes plants like no other material on earth. It also contains a very high percentage of fulvic acid, which is what most growers want. And the Seaweed in Nature’s Magic is a superior grade known as Ascophylum Nodosum, which is grown and harvested off the coast of Norway. It is loaded with trace elements and plant growth stimulants such as Cytokinins, Auxins, Indoles and Gibberellins. There is no better natural trace element and micronutrient source (for plants, people and animals) than Kelp. It is no wonder that pasture animals will seek out and thrive on fields treated with Nature’s Magic. Many organic or biological products, including humic acids, fail or are slowed way down when used on heavier Clay soils or where compaction is severe. So, if your have a heavier clay soil or severe compaction, we recommend that you also treat your soil with our super soil penetrant called Aerify – Liquid Soil Aerator and Clay Loosener. This will create air pores and channels in the soil, and this air is necessary for beneficial microbes, bacterias, and fungi to survive. Or, use our combination product Aerify PLUS, which is half Aerify and half Nature’s Magic. Our company does over 2000 applications of Aerify PLUS a year on our customer’s clay lawns. Add 1/2 oz (1 tablespoon) Nature’s Magic to every 1 gallon of diluted liquid fertilizer or 1 teaspoon per quart. Commercial users should add 1 qt per 100 gallons tank mix. Apply 2-4 oz per 1000 sf. every 4-6 weeks and water into the soil. Apply at 6 -8 oz. per 1000 sf. and water into the soil. For better results, mix with 1 oz. of Aerify. You can also use at this rate when starting a new garden bed. Apply at 2 oz. per 1000 sf, along with Aerify before, during or after lawn has been seeded. Both are completely safe for new seed and will encourage faster sprouting and deeper rooting. A starter fertilizer is still advised. 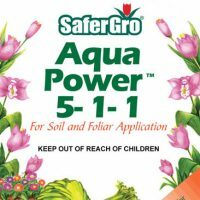 Apply at 1-2 gallons per acre two times per year or more. Since Nature’s Magic not only feeds the grass but the animals as well, you could apply this monthly if desired. Apply at 1-2 oz. per 1000 sf. (Do not spray commercial flower heads due to possible discoloration.) 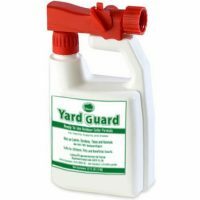 To maintain plant health, energy, brix and pest resistance, spray as often as every 2 weeks during the growing season. Apply at 7-12 ounces per 1000 sf. Till into the soil or water in well. 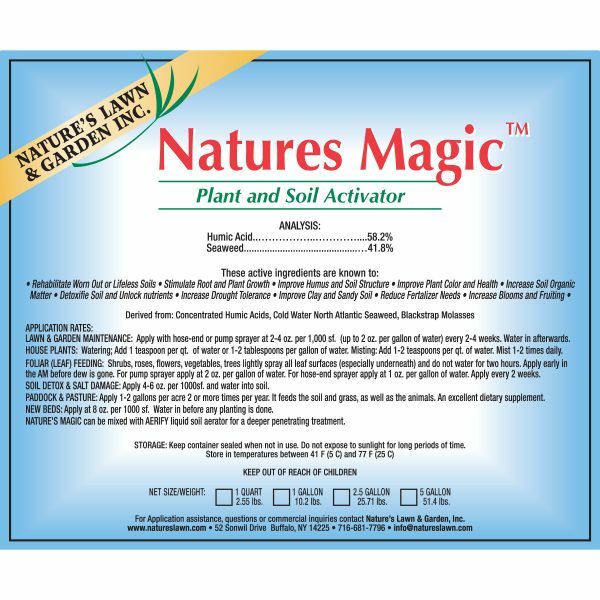 Nature’s Magic is an excellent, non-burning light plant fertilizer that can also be used on houseplants, in greenhouses and in hydroponic systems to supplement your other fertilizing. You may find that it brings about rooting, top growth, buds and blooms that you’ve never experienced before. Apply at 1/2 -1 teaspoon per 1 quart of water every 1-2 weeks. Put in a drop or two of Aerify occasionally for even more dramatic results.